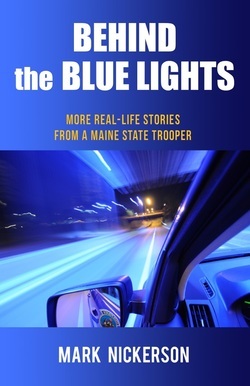 In Mark Nickerson's second book, Behind the Blue Lights, in addition to his usual hilarious stories of life as a Maine State Trooper, Mark delves deeper into the reasons people become law enforcement officers, and offers some poignant insight into the difficulties of life behind the blue lights. It's not all fun and games being a cop, and in this book Mark shows us both the humor and heartbreak behind the badge. As an added bonus, Mark has included stories from the archives of the Maine State Police, some heartwarming stories from another Maine State Trooper and the son of a Howland police chief who explain how the Maine State Police made a big impression on their lives as children. You'll laugh out loud at the rendition offered by one of Mark's friends as she meets the "Nissen bread man" (aka Warden John Ford). Then, you might take pause when reading the story of "Patty and Her Bicycle." It's a stark look at the emotional side of police work when dealing with children and death notifications. The last chapter offers a heartrending reminder of the ultimate price some police officers pay in the line of duty. Mark and his legendary friend, John Ford, former Maine Game Warden, Sheriff, and now author, delight audiences in Maine and beyond with their tales of law enforcement back in the day in their "Blue Lights and Funny Cider" tour. See their website at www.oldcops.com. Mark was born and raised in a Maine State Police family, his father, Millard E. Nickerson, Jr., being the Captain of the Bureau of Criminal Investigation was also posthumously awarded the 'Legendary Trooper Award,' the highest award any Maine trooper can obtain. Mark served 28 years with the State Police retiring in 2005. He wrote a column in local papers for the Capital Weekly, the Republican Journal and the Currier Gazette. 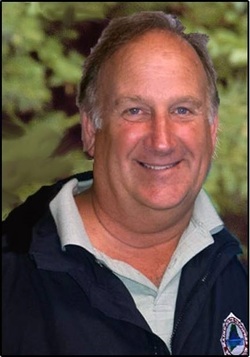 He is the current President of the Maine State Troopers Foundation, the charitable arm of the Trooper's Association, provides protection to the children of war torn countries when they attend the international camp 'Seeds of Peace' in southern Maine each summer, and loves being a father.